CentralCoastHouseBuyer.com Need To Sell Your House Fast? We Buy Houses! NEED TO SELL YOUR HOUSE? WE’RE BUYING! Need To Sell Your San Luis Obispo House Fast? To receive an offer on your property within 24 hours or less please enter and submit the following information. Central Coast House Buyer is a real estate investment company formed by a group of local real estate experts. We buy, remodel and sell homes throughout California’s Central Coast. We buy houses for cash in San Luis Obispo, CA and the surrounding area, and we’re proud to make the home selling process as simple and expedient as possible. What Do We Look for When We Buy Houses in San Luis Obispo, CA? At Central Coast House Buyer, we are proud to have worked with thousands of homeowners to sell their homes quickly. We work with homeowners dealing with a wide range of different situations, from divorce to foreclosure to bankruptcy to landlords interested in selling their rental properties. If you’re a homeowner in the Fresno area, we’re happy to consider your property, too. We are currently buying San Luis Obispo houses, and we will consider a wide range of property types, as well. In addition to single-family homes, we will also consider small apartments, vacant homes, rental properties, vacant/undeveloped land, and even some commercial properties. You’ve tried to sell your house but are running into roadblocks. You probably even tried calling a real estate agent. Sometimes selling a house the traditional way with a real estate agent is simply not the best for everyone. As you know, there can be lots of risks when selling a house with the real estate agents, including: having to clean up and repair the property so it shows well, finding an agent who you trust and who can Sell Your House Quickly, signing a contract that binds you to an agent for a certain term, the piles of paperwork you have to sign, shuffling paperwork back and forth from buyer –> to agent –> to you and back. The biggest issue with trying to sell with a real estate agent or selling it yourself is often times retail buyers will tie up a home for weeks and pull out on the deal at the last second… or have their bank loan fall through. It can all add stress, months to the process, and in the end after paying the agent fees, you may or may not be ahead of the game. We at Central Coast House Buyer work differently. We will provide you a fair all-cash offer for your house within 24 hours of submitting the short property info form below and can close when you want to close. If the house is in terrible shape and you don’t want to (or can’t) fix it up… NO problem, we’ll deal with it for you. There is no need of any modifications to sell your house fast. If you need to get something done quickly, we can close in as little as 7 days because we buy houses on the Central Coast with cash and don’t have to rely on traditional bank financing. Do you Need to Sell Your Central Coast, CA House Fast? We help property owners just like you, in all kinds of situations from divorce, foreclosure, death of a family member, burdensome rental property, and all kinds of other situations. We buy houses in Central Coast and surrounding areas. Sometimes, those who own property simply have lives that are too busy to take the time to do all of things that typically need to sell house fast in the market… if that describes you, just let us know about the property you’d like to be rid of and sell your house fast for cash. If you prefer to talk to someone in our office before submitting your property information just give us a call today at (805) 285-5247. We buy houses on the Central Coast, California and all surrounding areas including Grover Beach, Arroyo Grande, Pismo Beach, Avila Beach, Cayucos, Los Osos, Oceano, Cambria, San Luis Obispo, and in other cities or communities surrounding or within Central Coast, and other cities in California. 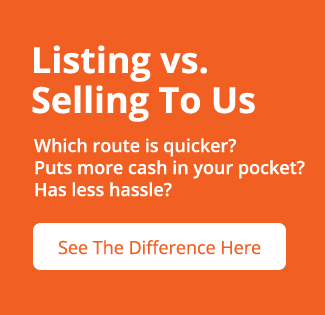 If you need to sell your house fast, connect with us. We’d love provide you a fair no-obligation no-hassle offer. Take it or leave it. You’ve got nothing to lose. We Buy Houses Fast In Other Areas!